Last year, I invested in the Kickstarter for Marion McNealy's annotated reprint of the 1924 Corset Cutting & Making, by William D. F. Vincent. And I'm very glad I did, because it's here and it's wonderful! The book starts with an introduction explaining the context of the original - it was probably started before World War I, then set aside for several years, lightly updated, and published - and the amount of work McNealy had to do to turn the rather slapdash content into a useful book. This is followed by a section on the materials and construction methods used in corsetry in the early twentieth century, the latter mostly taken from Vincent's own text. The patterns are redrawn as presented in the original text, and then again superimposed over a grid in case you don't want to scale them up in the particular configuration of the originals. I haven't yet used any of them, but they seem excellent. Each pattern comes with a CAD-rendered line drawing of the corset, in front, back, and side views, and a few have been made up and photographed on a model. It's not for everyone. As with Regency Women's Dress, the point is to give a variety of options from a short period of time - to help enthusiasts who are tired of using or seeing the same pattern over and over. As a result, if you have no personal or professional interest in gaining a better understanding of early twentieth century corsets, you're not going to get much out of it. It is not a replacement for Corsets or Corsets & Crinolines. 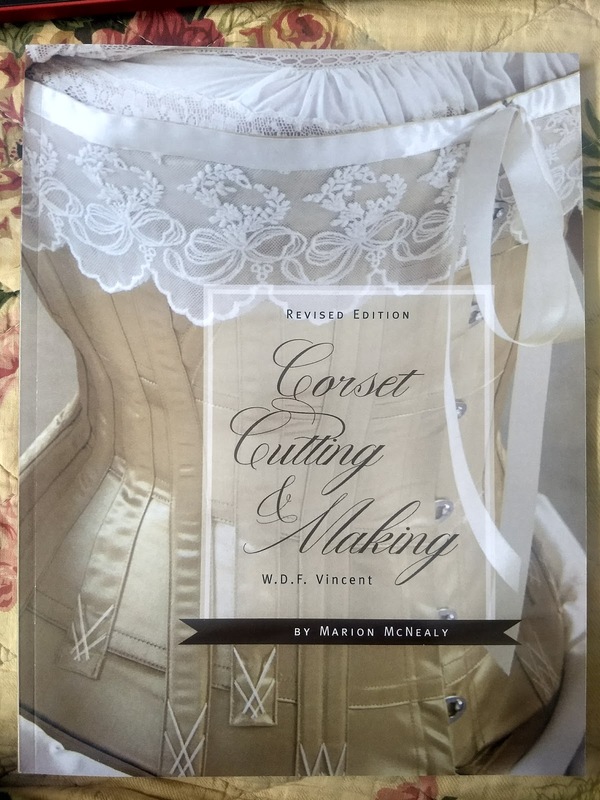 The Annotated Corset Cutting & Making can now be purchased on Amazon! Thanks for the review, it sounds an interesting book. I work in an old munitions factory (now converted into offices), and have read various accounts about the women who worked there - I often wondered if working in a metal-free environment meant that they couldn't wear corsets! EdElevate has more than 15 years of industry involvement in helping understudies get affirmation in MBA programs in USA and https://www.annotatedbibliographymaker.com/how-to-write-annotated-bibliography-in-ama-citation-style/ website share unique stuff. Keep it up! This is one of the informative post which says the perfect thing about making perfect impression on your opening day in there. https://www.essayrevision.net/i-need-revise-my-essay-online/ that helps me a lot on my academic papers writing. This particular is among the educational publish that states an ideal point regarding producing ideal impact in your starting day time inside. http://www.phdproposal.com/ which assists me personally a great deal upon my personal educational documents composing. Such a wonderful blog post, Training as an information is exceptionally flawless and essential for a person. Get a written work shape click here and utilize it wherever you need to utilize it. Wow the concept is very unique and interesting. I also felt that this is working of professional people just like an expert. So will love to add this concept in my blog too for the sake of quality.